Lyle’s is a clean, quiet, and serene space offering lunch and dinner, as well as a drop in coffee bar. The minimalist design of the space makes the venue the ideal backdrop for any occasion. 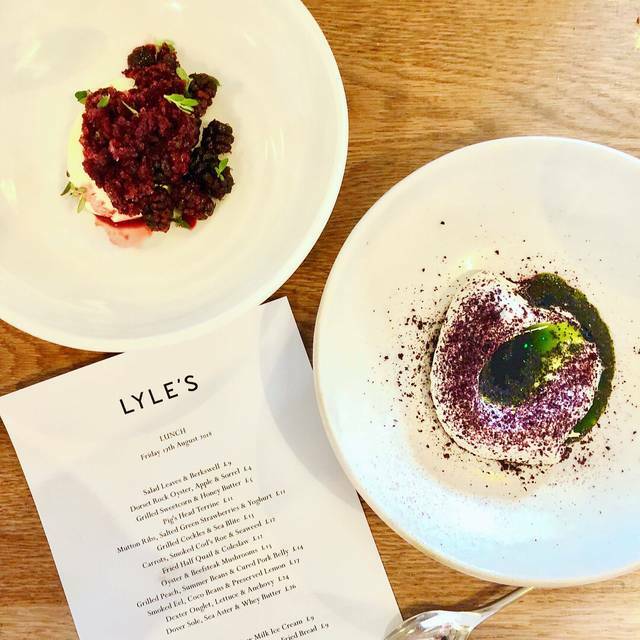 Lyle's was awarded a Michelin star in 2015. The food was outstanding, but too expensive. Also, it is not a comfortable place/chair to be seating for 2h and I was in an air current so cold all the time and got sick. Not the experience I was expecting for £150 for a couple. Outstanding across the board, as always - remarkable attention to detail, flavours, and staff knowledge/personability is unsurpassed in London. This a regular place for us. The food is deceptively greta and the wine list very intersting and well priced. Great food. Excellent service and good ambience. Would return. For the quality and creativity of the food, it was very much worth the price. Each bite surprised and impressed. We were pleased with the menu for the evening (pumpkin whey broth, monkfish & mutton) and only wish we could go back any given day to have the same meal again! The restaurant was also very kind to accommodate minor pregnancy food restrictions without sacrificing flavor or experience. Highly recommend. Solid from start to finish! Service, ambience, and of course food!!! This place hits on all marks of an amazing dining experience. Can’t wait to return!!!! I like this restaurant very much! Looking forward to revisit next month! 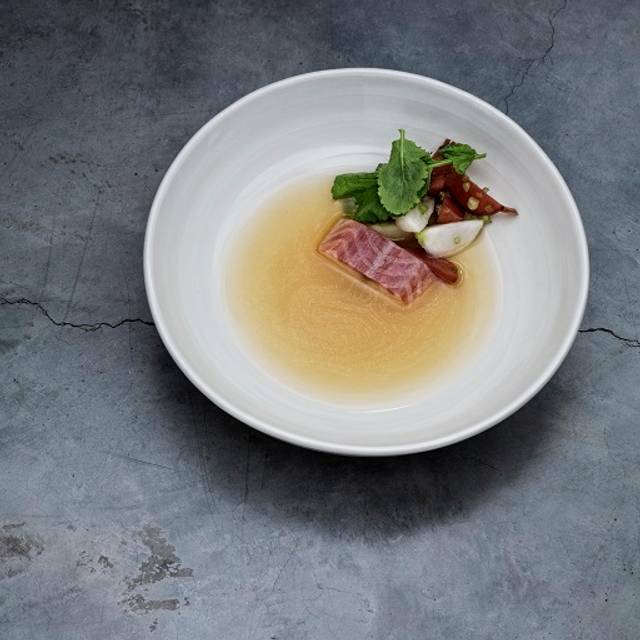 There is nothing particularly wrong with this restaurant, however it’s astonishing to me that it was awarded a Michelin star. While the food is generally good, it’s just not of the extraordinary kind you’d expect from such a place. The ambience is not very nice - very cramped space - and the friendly service becomes rather slow and sloppy once the place gets full (we were left unattended with finished dishes for about 10 minutes more than once). Overall, a very expensive evening for what we got thus we will not be back. 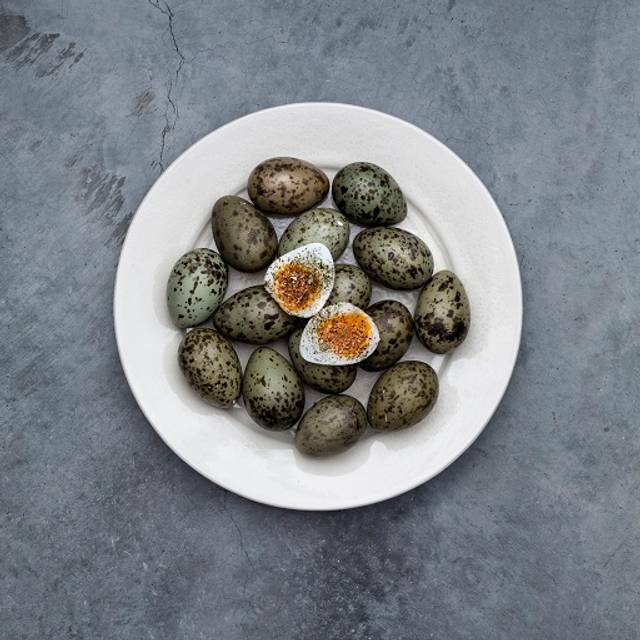 On a trip over to London from Australia Lyles was the top of my list of restaurants to visit. I can definitely recommend it was a fantastic dinner and a great evening. Awesome place!!! Amazing food, place and service! We love every single minute and bite of our lunch today. Even the salad was unforgettable In presentation and taste, and for me that says everything! Had a really nice dinner. 2nd time at Lyle but first since they entered the Top 50. The place was full and buzzy, but service was fast and prompt. The food is creative and is quite "foodie" - new flavours, new herbs , but cooked traditionally. The sea trout with sea herbs was to die for. Really good food and drinks at Lyles. We had to wait a tiny bit for service but we were well informed about what was on offer and what the food and each dish was like. The cost was moderate and I want to go again. Good food and great philosophy for structuring the menu. However, the experience has been underwhelming for a restaurant ranked 38th in the world. The cockles were very tasty but sandy; the samphire with bottarga butter was not revolutionary and the dover sole, although fresh and nicely coocked, did not have any particular twist and could easily been served by a good restaurant down the road, there was no sparkle. Loved the whole experience. Food was amazing - fresh , innovative and great flavours. Our waiter , Charlie, was awesome -very engaging and attentive. Didn’t like being ignored at the bar; but had a great time nonetheless. The food was absolutely exceptional and the service was excellent. The Vegetarian menu was extremely well balanced and delicious. Engaging and helpful staff. Some dishes were spectacular, others poor. Service could be better, wasn't enough staff to number of customers. Great Food, great staff. I missed a wine pairing to the set menu. The waitress solved it in a great way. 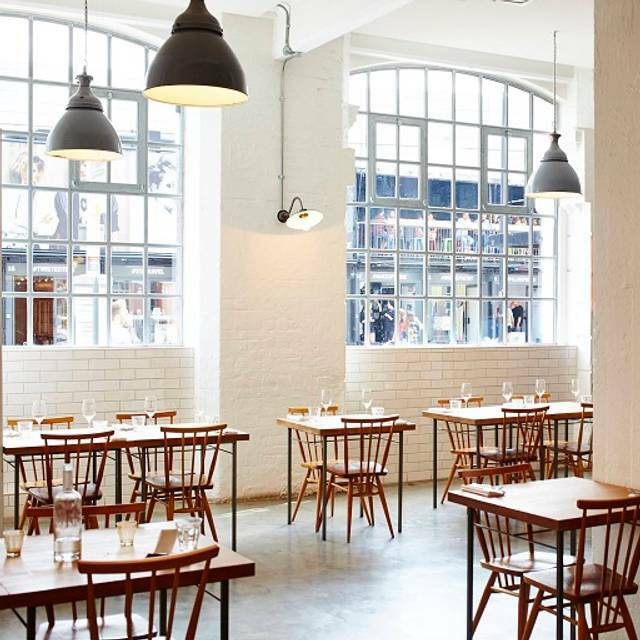 Great location on Shoreditch High Street inside the impressive Tea Building, Lyles mixes cafe style charm and friendliness with excellent cuisine. The lunch menu is not extensive but it offers a freshly created mix of dishes suitable for all tastes. The staff were friendly and offered good insight into the dishes. The Calcot based main dish was delicious as was the Treacle Tart & Milk Ice Cream. Love the place!! Love the grilled mussels! Delicious, creative cooking with friendly, attentive staff. Straight, classy food. Extraordinary smoked eel and duck-toast with damson jam that I will remember many months from now. Enough here to justify any foodie traipsing from afar! 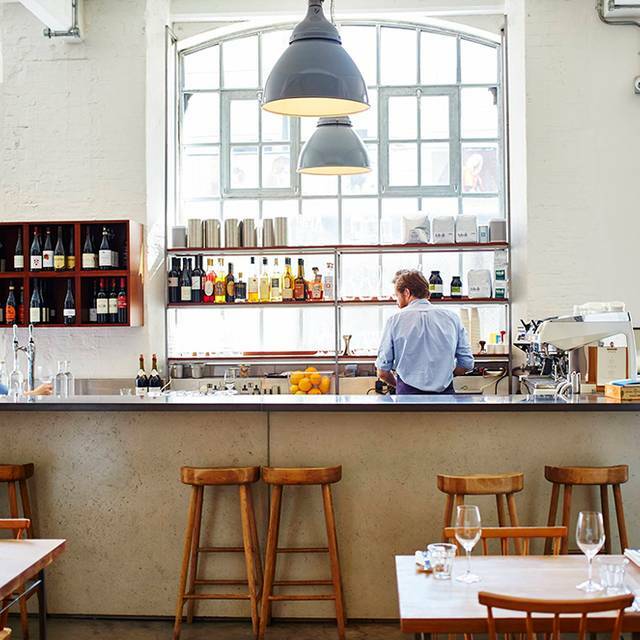 Place itself feels stripped back and maybe even Scandi - perfect as a lunch canteen but if I was being harsh, personally, maybe slightly sparse as evening spot. Killer food, great service and beautiful surrounding but - for me at least - more of a day-time place. Thoroughly enjoyed our meal and will return! Inventive, seasonal meal. Just amazing - the most delicious food and lovely friendly and knowledgable service. You can't get round the slightly super cool industrial decor but the warmth of everything else compensates fantastically. The restaurant was a bit quieter than I expected for Thursday lunch. The service was excellent. The menu was a bit too unusual so I found it difficult to pick but the food was all really delicious. I felt that simpler descriptions perhaps would be better. We were recommended to have 2 small plates each which I felt was not enough... I am not a huge eater but was hungry an hour or so later. I would suggest at least 3 each or lots of bread! Great service, nice ambience however the interiors are pretty bare and not that peculiar. 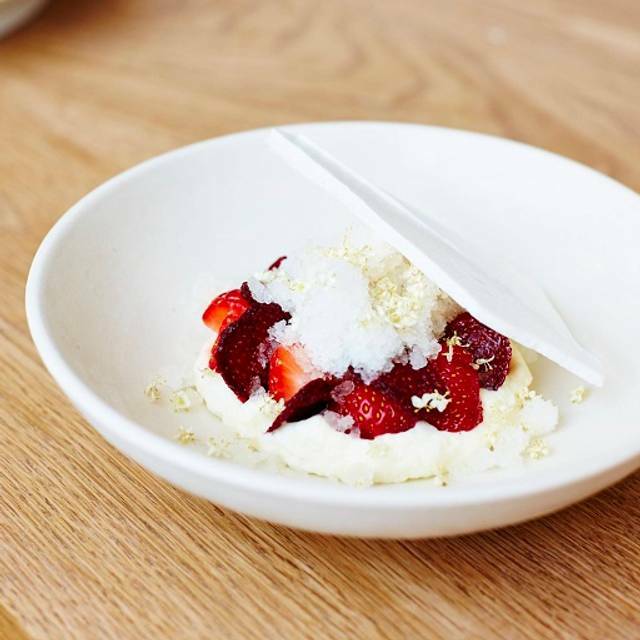 The food was pretentious was missing the texture and punch to make it great and an exclusive experience. 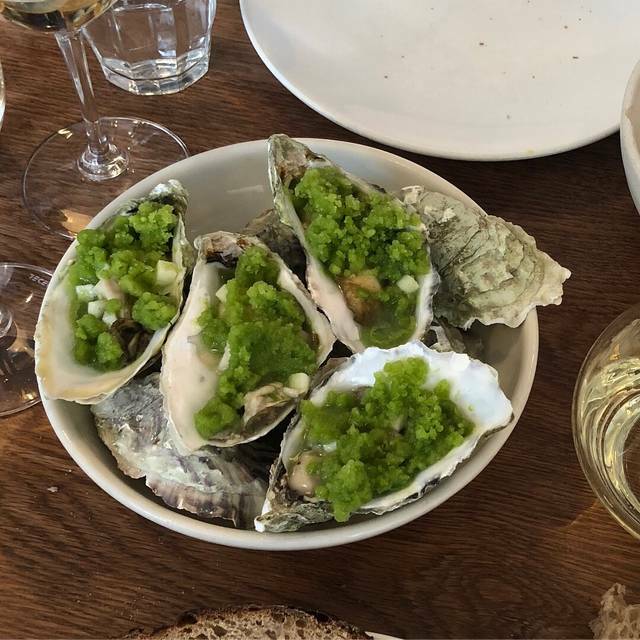 We had heard excellent reports and were expecting very good things of Lyles but ultimately it was one of the more disappointing meals I have had. The fish was cold and accompanied by odd ingredients that did not work as a package and the approach to cooking of mutton left a tough, sinewy piece of meat. 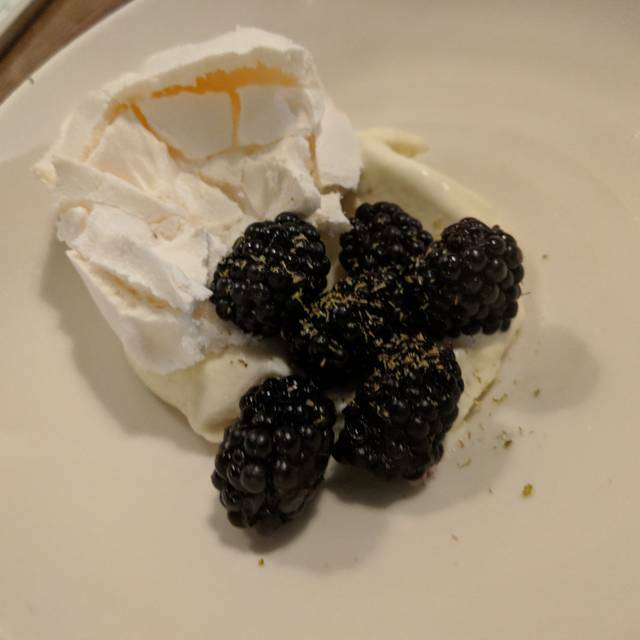 Dessert was excellent though. Service was also excellent and they noted our reaction to the food and therefore provided some complementary cheese which was appreciated. From all the good things I have heard I choose to believe this was just an aberration in terms of the menu but it did leave us somewhat disappointed. The food was outstanding, delicately thoughtful and an absolute treat. Great service too! Although on the pricey side for a charity worker, I highly highly recommend! Wonderful! Having read mixed reviews about this relatively new place, my expectations were frankly set low. However, the restaurant didn't disappoint at all! 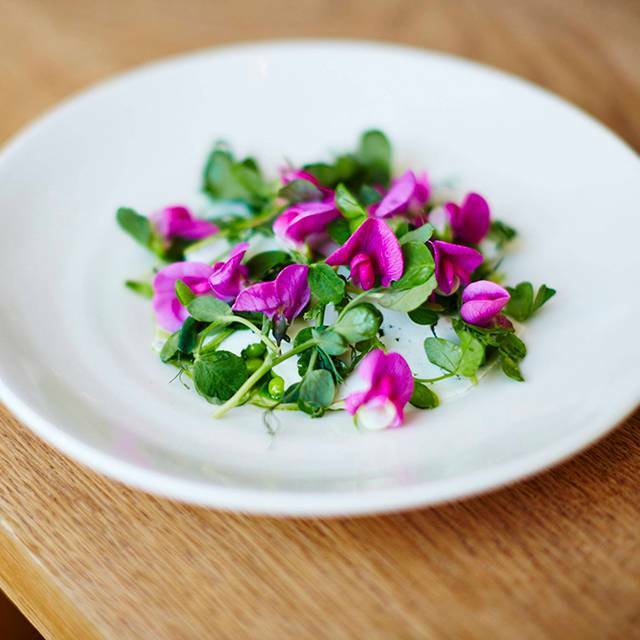 Chefs needs some really good skills and great quality produce to be able to serve one ingredient on a plate. And the team at Lyle's managed it very well! Four very seasonal dishes were fresh and full of flavour. The portion size is spot on: one of the few restaurants where you don't feel bloated after having a set menu. Room with minimalistic decor felt light and pleasant. Our waiter was very friendly and kindly explained every dish. Thank you, we'll be back!